If you are looking for Elf on the Shelf ideas, you’ve come to the right place! We have been doing this tradition at my house for years and it is something my kids look forward to every single year! While we obviously know that Christmas is about Jesus’ birthday, we love to do daily things to celebrate and count down the days to Christmas. WE do that with our elves and we love to check on social media each day and see what our friends all over the internet are doing with their elf too! We have such a blast! Looking for ways to welcome your elf? This one is perfect for his arrival night every year. If you are new to this idea, you might want check out our video that answers all of your frequently asked questions. How to get started. What the “rules” are. Where to buy your elf. Who can touch and move the elf, etc. I am sure you have a lot of questions you need answers to! I get it, I did too the first year. When you purchase your elf, it does come with a book that you can read to your children that outlines the idea of the tradition for you. That said, I always encourage parents to modify it according to their family needs. Each year our Elf arrives right after Thanksgiving. This gives us lots of time to create fun shenanigans that my kids look forward to each year. 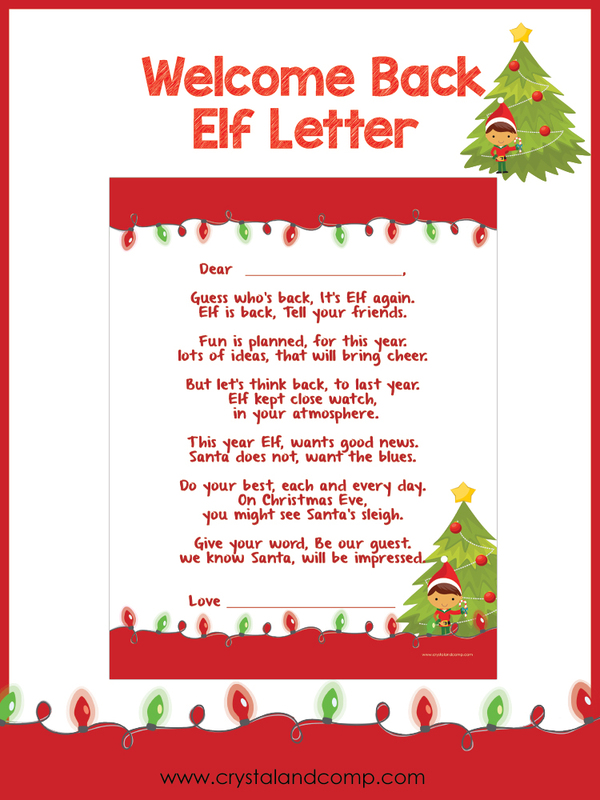 For us, I always stick to the Elf on the Shelf welcome letter printables. It’s easy and the kids love it. When you download our letter we have two different versions. You get both versions. One is from a girl elf and one is from a boy elf. Personally, we have three elves, two boy elves and one girl. I like to use both letters. There is a place for you to handwriting in your children’s names and also a place for you to sign your elf’s name at the end. 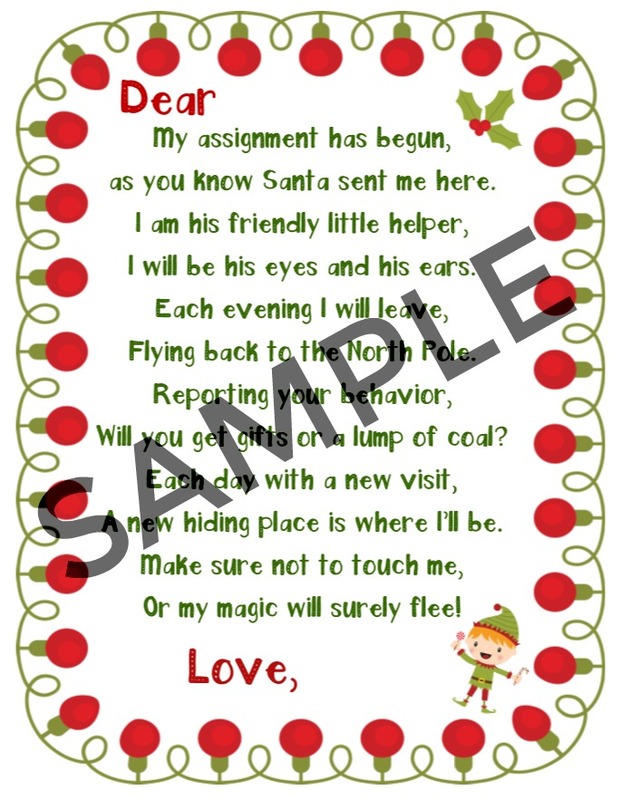 The letter is really a poem that I wrote that basically reminds the children that elf will be reporting back to Santa every night and telling him our your child’s behavior was each day. Then he “flies” back home and your kiddos will find him in a new place each day. The poem encourages them to be good so they can get gifts instead of a lump of goal. The kids get a real kick out of this! You can grab your welcome letters by clicking the image below and they will be delivered to your email in about 5 to 10 minutes so you can print and use! Need a Welcome Back Letter for your Elf? 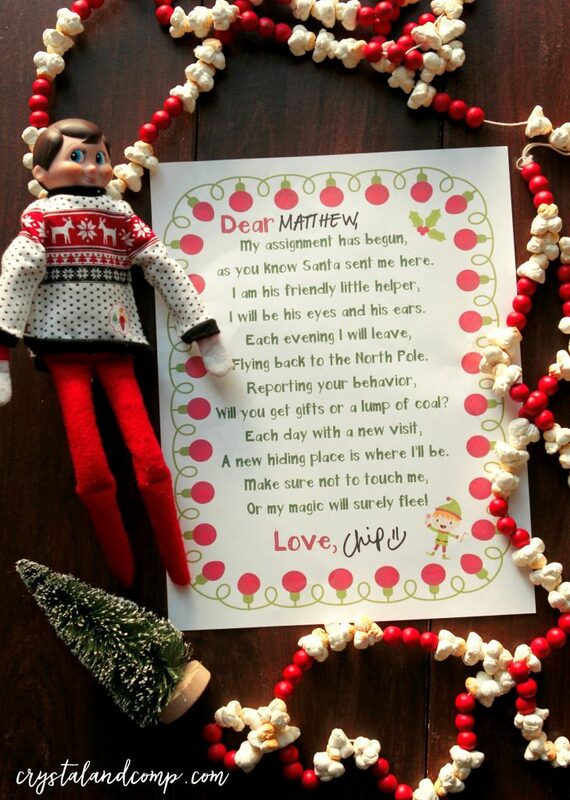 This is perfect for families who have done Elf on the Shelf before and they need a letter that welcomes elf back! Just print, sign and go! Each year I like to map out what we will be doing for the season with our Elf. I created this editable planning calendar that makes mapping everything out really easy. 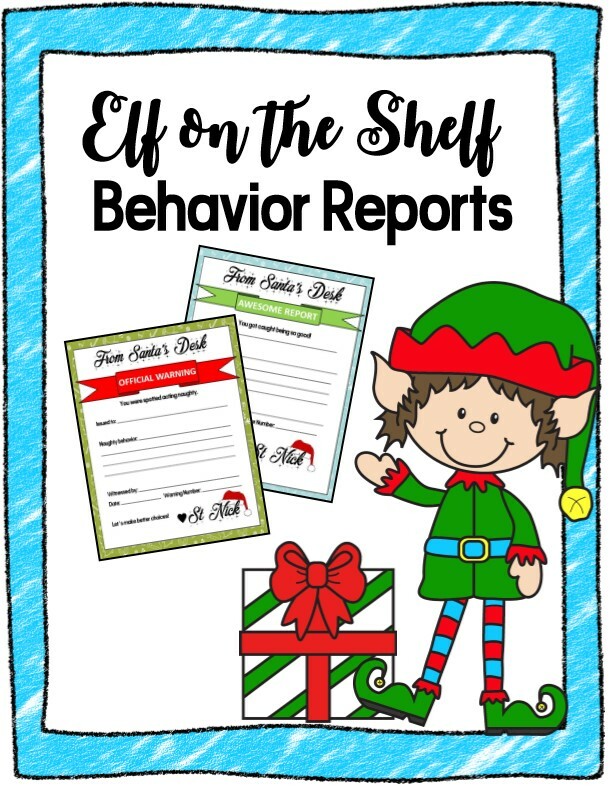 Need too report naughty behavior or awesome behavior? Love these!! What are some of your favorite ideas that you’ve done with your elf? I would love to know what your tradition looks like and how you’ve modified it to accommodate your family each Christmas season. 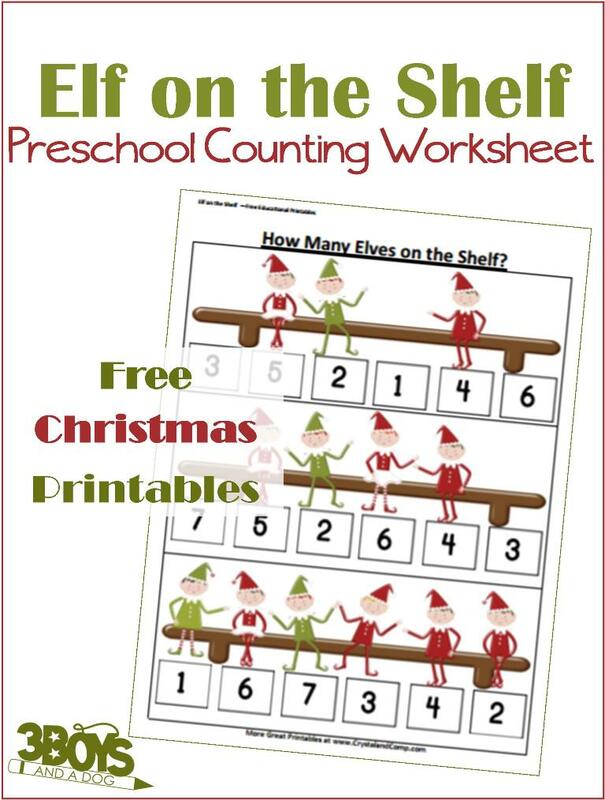 And I love these free preschool counting worksheets from my blogging friend Kelli over at 3 Boys and a Dog. They are a great way to incorporate math withy our elf. You should totally check them out! Such a great way to welcome your Elf! I pinned, just love this so much. Thank you for stopping by to share with us on our Facebook page. That is a cute letter! We have our own Elf on a Shelf we use a minion. He loves it when it gets into trouble. So much fun creating different ways that he is getting into mischief. That is so adorable! I think Elf on the Shelf is just about the best idea for Christmas that there’s ever been. I am always looking for new ideas. I feel like we’ve had ours for so many years that I am all out of fresh ideas. Oh how cute! 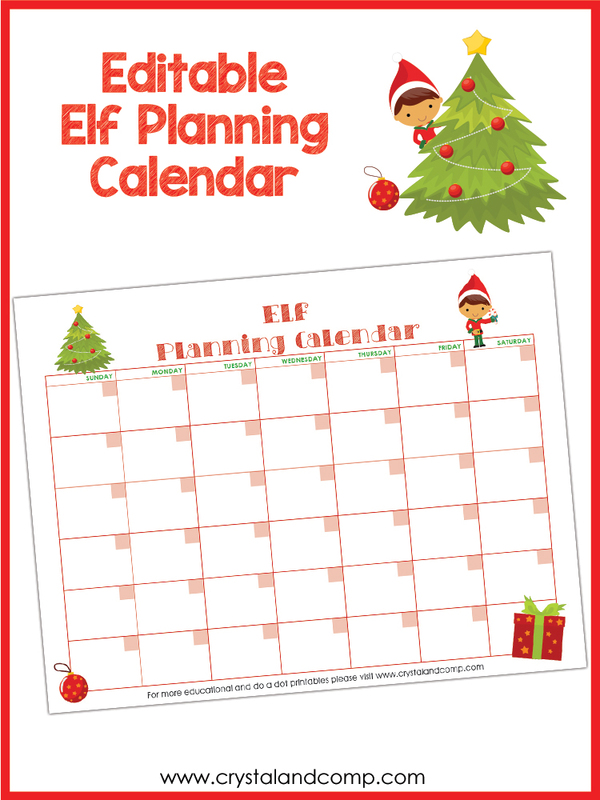 I’d love to use this printable for some fun Elf activities this year. He’s always getting into trouble! 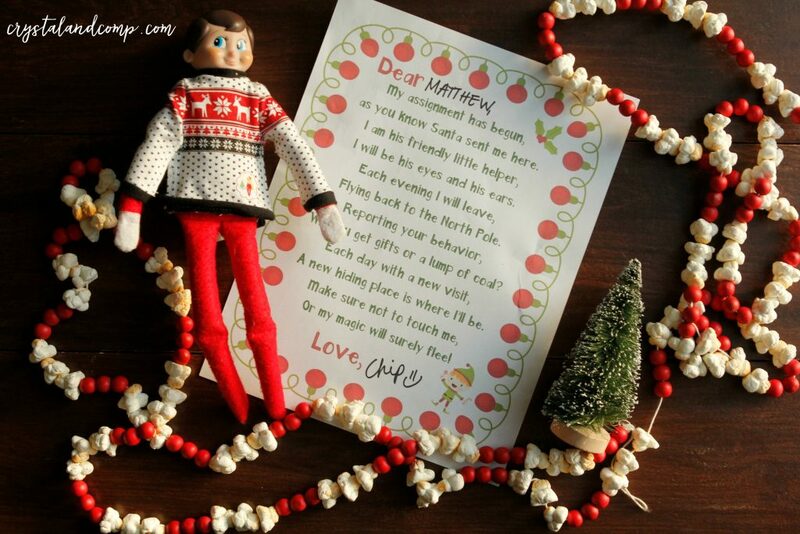 This letter is such a fun way to introduce elf on a shelf! I love seeing everyones elf on a shelf posts on instagram. Aww, what a great idea! Such a cute printable! I need to print this out for my daughter! Mistee Dawn recently posted..Red Velvet Cookies with Cream Cheese Drizzle. We have yet to try this Elf on the Shelf. Thank you for the printables. I would need to read more about how to do fun things with elf on the shelf. I must have been living in a different dimension. We love our Elf on the Shelf. He is an important part of our Christmas holidays! I can’t believe it’s that time again. we’ve actually never done Elf on a shelf but I enjoy watching my friends get into it. We don’t do the Elf on the Shelf tradition but a friend of mine said it’s fun for the kids. That’s a nice printable. I cannot wait to have kids so we can do Elf on the Shelf! There are so many cute ideas out there! These are really cute printables. I would like us to join the Elf on a Shelf bandwagon this year. I love this! How fun. We love Elf on the Shelf but this year I decided I’d take a break. For the life of me for the last 3 years I always forgot to move it. It was so hard to explain why, haha. Oh my goodness the bathrobe is too much. I love it! I have always loved the Elf of the Shelf. But alas, I don’t have one yet. That shall change! I think these are cute. I never got into them though. Those are really cute. I’ve been wanting to have an elf on the shelf, but my son thinks it’s scary. LOl. These are great Elf on the Shelf letters! I don’t have kids but I think the idea is really cute! I have never gotten into the elf on a shelf tradition but my father in law does it for his family. I think I will have to send this along to him, they would really enjoy this! What an adorable idea. I will have to share with my friends who do Elf on the Shelf. My son is obsessed with the Olaf version that we do. My kids are too old for Elf on the Shelf so we have never done it. I do like the welcome printable. How fun for the kids to get this letter from their Elf. I absolutely LOVE Elf on the Shelf and looking for new fun ideas. Thanks for sharing your post. Lovely printables! Thanks for sharing! I will definitely let my friends doing Elf on the Shelf this year about it! How fun!!! Thanks for sharing this – Definitely something to look into! Awesome Dana! Hope your elf’s welcome was awesome! I’m a little scared to start elf on a shelf because my kids love that kind of stuff and I’ve already got so much going on I don’t want to disappoint them by not being consistent with it. I am however glad you posted this on the turn it up Tuesday link party because I probably should look at this one more time before the holiday season. Theresa recently posted..20 Plus Must Try Slow Cooker Recipes Perfect For Fall, Winter…. Trying to print the elf on the shelf welcome letter but there is no link and I am not seeing anything on the page.